Oracle has provided a simple and easy feature to implement the customer specific requirements without modifying the underlying forms code or CUSTOM library. 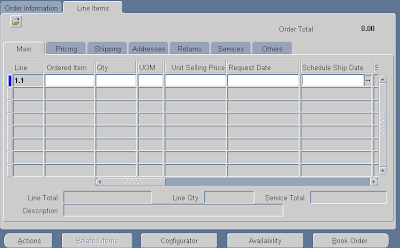 Although CUSTOM library still can be used for forms customization to implement the complex business logic, the personalization feature provided in the latest release is easy, faster and requires minimum development effort. If user needs to personalize any details in a form like changing field names, adding some validations, etc, then Form Personalization can provide the way out in few simple steps. Then we need to note down the block and field name which is needed in next steps. Note down the Block and Field value. Here you need to do the customization as per the requirement. This is the section where you need to create the rules how your requirement is going to be executed. This section contains 4 segments, Seq, description, Level and Enabled flag. Enabled: This is the flag which will enable or disable the rule. Now need to set the condition. This is the section where you will define when the rule will be executed. This section contains 4 segments, Trigger Event, Trigger Object, Condition and Processing mode. Trigger Event: This specifies where the rule will be executed. There are mainly 5 types of event which decided the trigger of the rule. Trigger Object: This is the Object in the form which decides at what level the rule will be executed. Condition: Here mention any SQL statement to control the execution of the rule when the mentioned criterion is met. Processing Mode: This is the mode where you want the rules to be executed. This decides what will happen when the rule will execute. Type: This is of 4 types, Property, Message, Builtin, Menu. This decides which type of action, the rule will perform. According to this the right section will come and need to fill the detailed actions. Description: Write a description on the action which this will perform. Enabled: You can enable or disable the actions here. Right Section is a dynamic section; it appears depending on the Type field value in Left section. “Item, Window, and Block etc.”. 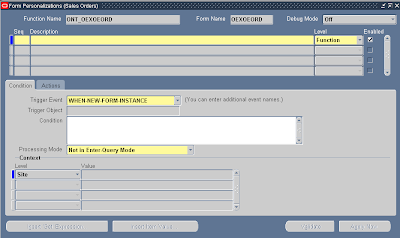 Actual object name defined in the form should be entered after selecting the object type. The current value of the property will be displayed when clicked on the “Get Value” button. The action type “Message” is used to display custom messages during runtime. Message Type and Description should be entered after selecting the action type as “Message”. The available message types are “Error, Warning, Hint, Question and Debug”. Depending on the response expected from the user, the appropriate message type should be selected. The action type “Builtin” is used to execute the form and AOL API’s. Depending on the API type selected, the parameters should be entered. The action type “Menu” is used to activate the available special menus on the Tools menu. Oracle Applications provide 45 special menus under Tools menu which can be used by customers based on their requirements. Select the SPECIAL menu which is not used by the form. Menu label is the prompt which appears to the users when Tools menu is invoked, block specifies the blocks for which the special menu should be activated and Icon name is the .ico file name. 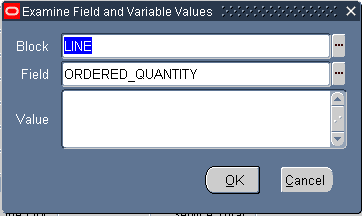 Requirement: Don’t allow the user to use more than 1 qty in Order line Qty field during creation of a sales order. 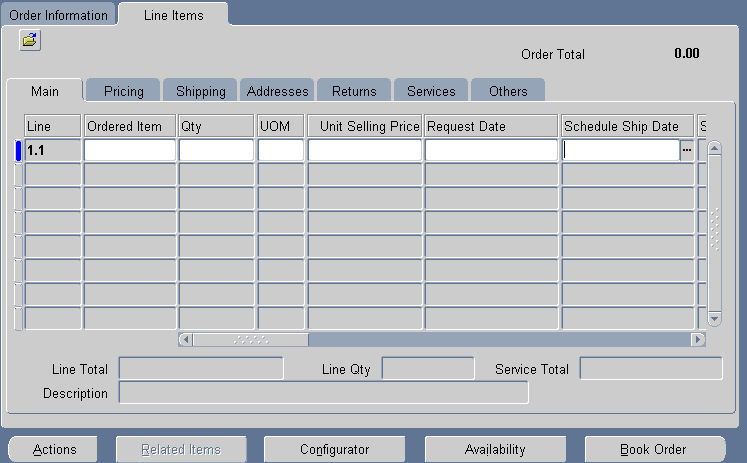 Here in this case this will be the Sales Orders form and then Line Items tab. Fill the context As you need. Log out of the application and login again, then in Sales Order line item tab enter Qty field value as 1 and try to save, you can see the message. Very informative. Thanks for sharing. Keep writing. Thanks again. Thanks for ur detailed explanation.